Papel picado is a beautiful Mexican tradition that is a staple in many Mexican celebrations. It’s no secret that we love to celebrate cultural holidays here with our niños; each holiday gives us the opportunity to teach them something new about a country and culture. Often times we end up learning a lot ourselves! The upcoming celebration for Cinco de Mayo is a holiday which gives us many opportunities to learn about Mexico’s rich history and culture. It’s also a great time to have conversations in Spanish and learn new vocabulary. Recently we stumbled upon the Ay Mujer Shop, a family-owned business that is dedicated to making fine, modern papel picado. We were instantly obsessed with all they do. The Ay Mujer family has recently come out with a Papel Picado DIY kit which is perfect for the upcoming Cinco de Mayo celebration, Día de Muertos, birthday parties or any day that you’re feeling crafty. 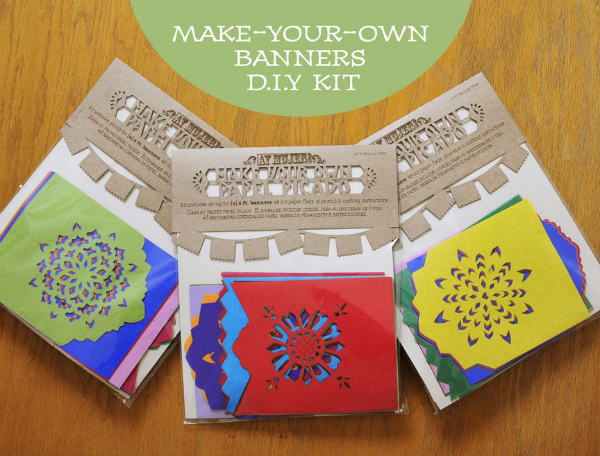 Each kit makes four 6-foot banners and they include a variety of cheerful colors that brighten up the room. The kit is completely bilingual, (English,Spanish) and the paper is 100% recycled. The kit also comes with a little surprise: cardboard palomitas (doves) that you can pop-out and keep! The papel picado kits are available at the Ay Mujer Shop now (hurry! These will not last too long!). They include: string for four 6-foot banners, 48 cut paper flags in mixed bright colors and designs, non-toxic glue stick, crafting instructions & informational insert. The paper flags are hand crafted. And of course, we’re not just going to tell you about these awesome banners without a chance to win one for yourself! 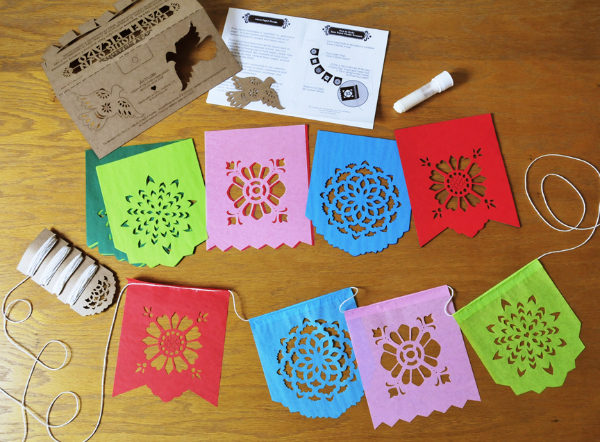 We are giving away one papel picado kit to FIVE lucky winners! All you have to do is visit the Ay Mujer Shop and leave us a comment telling us what caught your eye. Then, enter the rafflecopter below. So fancy. I love this. I like the VIVALDI custom color banners. I am an email subscriber. This is great!!!! this will be a great activity for any students! Love the floral cut out designs! Everything is so cool! I like the Fiesta banderas. I like the do-it-yourself kit! I love the banner that says “So Happy Together”! The owls are adorable! I love Ay Mujere’s papel picado. And I have a bi-lingual grandbaby, or at least she will be when she starts to talk, she lives in Guatemala. So it is fun to see your site. I like the birthday banners! Love sweet love is so cute, but I love them all! I subscribe to the weekly newsletter! I love the tradition, the color, the beauty, the intricacy. everything reflects the love and dedication that is applied when creating! I love all of it. Mi familia is a favorite. 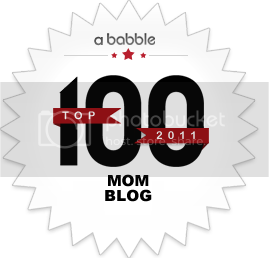 I like the mini color custom banners – I think they would look so pretty in my kids’ rooms! What lovely designs and festive colors! My office at the university is decorated with papel picado. I would like my own kids’ Spanish club at the elementary school to make some papel picado to take home! They are all beautiful, but I really like the “So happy together” papel picado. Vivaldi caught my eye immediately – beautiful! I am a newsletter subscriber! I like the LAS FLORES custom color banners it looks so elegant for a wedding. The facebook link to Ay Mujer on the entry is wrong, it goes to Nathilda. I did find Ay Mujer on facebook and like them. I love the do it yourself papel picado kits! What a great way to share this art with students! Wouldn’t it be nice to offer some simple patterns for kids to cut, along with the history/culture and instructions?! I like the mariposa banderas! 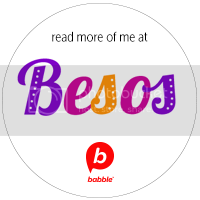 The Love Sweet Love papel picado would be adorable at a weddding – I am going to get it for the next relative who has an outdoor wedding! It’s all beautiful but I love the wedding and baby themed ones. It’s an art! I like the Dos Palomas banner! The AY MAMACITA custom color banners – Lingerie caught my eye. Love the Vivaldi custom color banners! The patterns will be great conversational pieces while making them with my daughter and grandchild. Trangenerational crafts. i love the baby blessings banners! Have any of the other winners received these yet? It’s been over a month and I’m wondering if something happened during shipping? It usually can take up to a month, but this time we had an internal mess up but already took care of it. You should all be receiving these really soon. Feel free to email Lidia (the person who contacted you from our team) directly anytime. 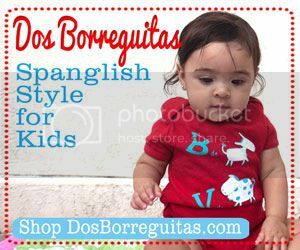 Raising bilingual and bicultural children with love. Gennie on Lessons Learned at the Netflix Headquarters: They Do Have Content for Kids in Spanish! tani kredyt on Bienvenidos to SpanglishBaby! introduce solar power on Lessons Learned at the Netflix Headquarters: They Do Have Content for Kids in Spanish! trading strategieshellip on Lessons Learned at the Netflix Headquarters: They Do Have Content for Kids in Spanish!